Moody's decision to skip the assessment of South Africa's credit rating is good news for the rand, analysts have said. The rating remains unchanged at Baa3, the last rung of investment grade, with a stable outlook. No reasons were given for the decision not to update the assessment. The rand remained flat overnight, trading between R14.43 and R14.49 against the US dollar. In a snap note to clients, Bianca Botes, Corporate Treasury Manager at Peregrine Treasury Solutions, said Peregrine expected the rand to strengthen early next week, barring any unexpected events in Turkey over the weekend. Meanwhile North West University Business School economist Prof Raymond Parsons has said Moody's decision will give the country "breathing space". "The surprise decision by Moody's not to update SA's sovereign credit rating at this stage is welcome, as it gives the country further breathing space to get its economic and fiscal house in order. "While Moody's offered no explanation for the delay in issuing its latest report on the SA economy, it is possible that the credit rating agency took into account the important coming election in SA in May and the uncertainties still surrounding it," he said. After the May election Moody's and other credit rating agencies will presumably want more clarity and certainty on key issues such as likely policy changes, a new Cabinet, and SA's future economic direction, he noted. 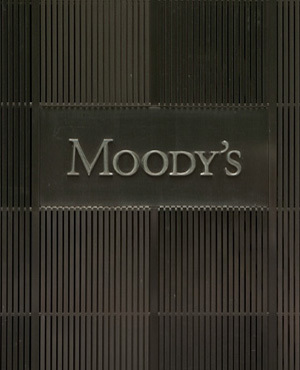 "The Moody's update remains pending the latest economic and political developments. The economy is not yet out of the woods and Moody's decision should be seen as a stay of execution, rather than as a reprieve," he said.